Andrew Jackson was elected president in eighteen twenty-eight. He was popular with voters. But he was not sure he wanted to run for re-election in eighteen thirty-two. He was getting old. He suffered from health problems. Yet he wanted to give voters a chance to show their approval of his programs. So Jackson made a decision. He would run again. If he won, however, he would resign after the first or second year. He would leave the job to his vice president. Now, this week in our series, Rich Kleinfeldt and Sarah Long continue the story of Andrew Jackson and his presidency. President Jackson spoke of this plan to the man he wanted as his vice president, Martin Van Buren. 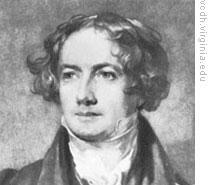 He made the offer in eighteen thirty, when Van Buren was still his secretary of state. Van Buren thanked Jackson for the offer. However, he rejected it. Van Buren said it would be politically dangerous. He did not want anyone to say that he had been brought into the presidency in secret. Jackson did not give up his idea. For more than a year, he continued to urge Van Buren to accept the offer. Van Buren continued to say no. He agreed to be Jackson's vice presidential candidate in eighteen thirty-two. But he said he did not want to become president without being elected by the people. As the election got closer, Jackson's health began to improve. He began to think about serving a second full term. One thing that helped was an operation to remove a bullet from his arm. He had received the wound during a gun fight with another man about twenty years earlier. It troubled him so badly that sometimes he could not use the arm. Doctors were afraid to remove the bullet. They thought it might cause a terrible shock to his heart. Early in the election year, a doctor said he believed the bullet could be removed easily. He told the president that it was poisoning his whole body. Jackson asked the doctor to cut out the bullet at once. The operation was over in a few minutes. Jackson's health quickly became much better. A funny little story was told about that bullet. Someone reportedly said Jackson should give it to the family of the man who shot him. One family member rejected the offer. He said Jackson had possessed the bullet for twenty years. So, he said, under the law, Jackson had clear ownership to it. "Only nineteen years," someone noted. "Oh," the man said, "that is all right. Since Jackson took good care of it, I will forget the extra year." The presidential election campaign of eighteen thirty-two was bitter. President Jackson was, once again, the candidate of the Democratic Party. 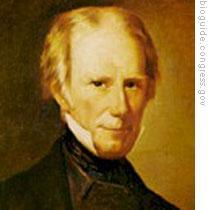 Henry Clay was the candidate of the National Republican Party. Clay had the support of Nicholas Biddle, who was head of the Bank of the United States. He also had the support of about two-thirds of the nation's newspapers. This was because most of them owed money to the bank. Most wealthy people supported Clay, too. Farmers and laborers supported Jackson. They showed their support by marching in parades and holding big, noisy public meetings. On election day, the people showed that Jackson was still their president. There was a much bigger difference in popular votes between Jackson and Clay than between Jackson and John Quincy Adams four years earlier. As the votes were counted, one of Clay's supporters said: "The news blows over us like a great cold storm." Jackson received about six hundred eighty-eight thousand popular votes. Clay received about four hundred seventy-three thousand votes. In the electoral college, Jackson got more than four times the number of votes than Clay got. Jackson's vice president would be Martin Van Buren. 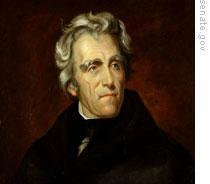 Andrew Jackson saw his re-election as proof that the American people approved of his policies. This included his policy to close the Bank of the United States when its charter ended in eighteen thirty-six. During his second term, Jackson decided on a plan to reduce the bank's economic power. He would stop putting federal money into the bank. Instead, he would put it into state banks. This would greatly reduce the amount of money the Bank of the United States could use. The plan was not as easy as it seemed. The charter for the bank said federal money had to be kept there unless the secretary of the treasury ordered it put someplace else. President Jackson's treasury secretary was friendly to the bank. He would not give the order. Jackson would have to dismiss the man and appoint someone who supported his plan. But the treasury secretary was a powerful politician. Jackson could not push him out of the job. He had to find another way. So he decided to reorganize his whole cabinet. Jackson named his secretary of state to be minister to France. He named his treasury secretary to be secretary of state. Then he brought in someone new as secretary of the treasury. That turned out to be a mistake. The new treasury secretary refused to put federal money anywhere but in the Bank of the United States. He also refused to resign when Jackson asked him to resign. So Jackson dismissed him and named yet another new treasury secretary. This man immediately ordered that after October first, eighteen thirty-three, all federal money was to be put into twenty-three state banks. He did not withdraw the government money already in the Bank of the United States. He said this money could be used to make payments until it was all gone. Nicholas Biddle, the head of the bank, fought back. He ordered the immediate repayment of all bank loans. He also withdrew from public use large numbers of bank notes. People had been using the notes as money. These actions caused serious economic difficulties throughout the country. Many businesses failed. They could not pay back their loans or borrow the money they needed. As businesses failed, workers lost their jobs. Nicholas Biddle said the Jackson administration was responsible for all the trouble. He said the bank was forced to take firm measures, because it was losing government money. He told people to protest to the administration. Critics of President Jackson's bank policy called him "King Andrew the First." Groups of businessmen called on the president at the White House. They urged him to put government money back into the bank. Jackson told one group: "I will never restore the money. I will never renew the charter of the Bank of the United States. If you want help, go to Nicholas Biddle. " The president's actions worried even some of his supporters. There could be serious long-term effects of closing the Bank of the United States. Some of his supporters in Congress went to see him. They warned him of reports that a mob was forming to march on Washington. They told him that the mob planned to seize the Capitol building until Congress returned government money to the bank. "Gentlemen," Jackson said, "I will be glad to see this mob on Capitol Hill. I will hang its leaders high. That should stop forever all attempts to control Congress by force." We will continue our story of Andrew Jackson's second term as president next week. Our program was written by Frank Beardsley. The narrators were Rich Kleinfeldt and Sarah Long. Transcripts, MP3s and podcasts of our programs can be found along with historical images at www.unsv.com. Join us again next week for THE MAKING OF A NATION, an American history series in VOA Special English. a funny little story: Jackson had a bullet in his body for almosht twenty years ,which got in duel. someone sugested Jackson should give it back to the family of the man who shot him. the family said that Jackson possessed the bullet for 20 years in his body, so ,under the law, Jackson was the ownership of the bullet. someone noted it was 19 years. the family said it was nothing, since Jackson took good care of the bullet in his body so long time, he didnt care about the extra year.